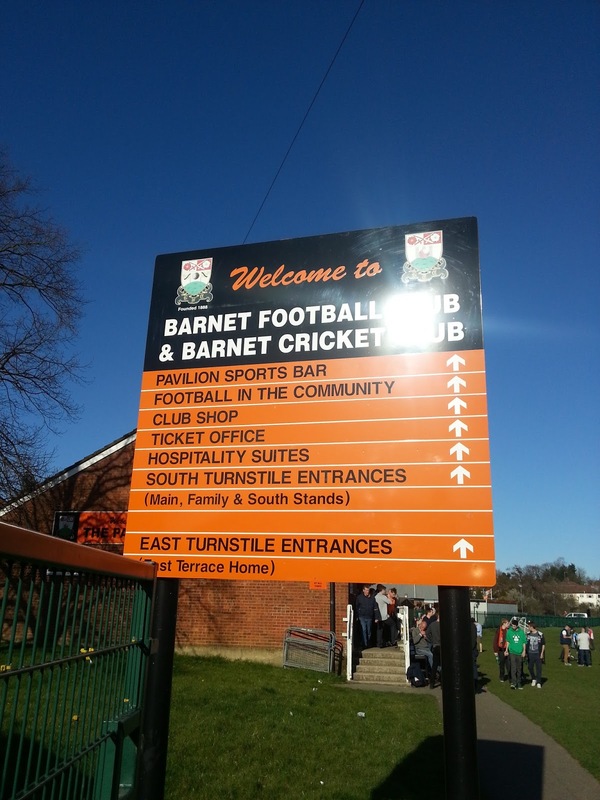 1: Barnet (or Barnet Alston as they were known at the time) moved to Underhill in September 1907, having previously played at nearby Underhill Farm on Totteridge Road. The first game played at the ground was a 1-0 friendly win over Crystal Palace. 2: The record attendance at Underhill was against Wycombe Wanderers in 1952. 11,026 turned up for the FA Amateur Cup Quarter Final tie. 3: After spending all of their history in non-league football, Barnet were promoted to the Football League in 1991. Their first 2 games were highly entertaining with a 7-4 defeat to Crewe Alexandra and a 5-5 draw against Brentford in the League Cup. 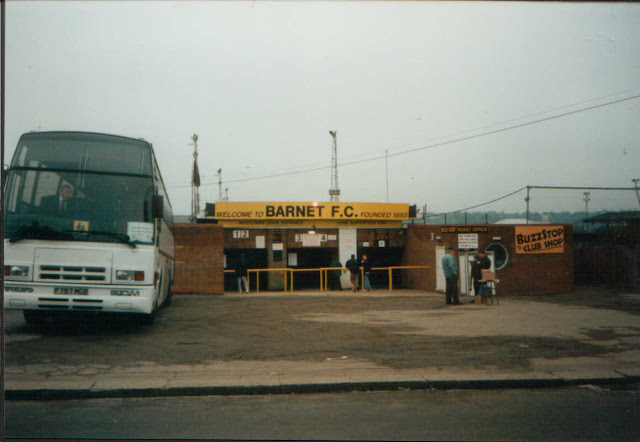 4: Barnet's best ever league placing came in the 1993-94 season, though their only season in the third tier of the football league was not a happy one. They won 5 league games all season and finished well adrift at the bottom of the league. 5: The club's best progress in the FA Cup at Underhill came in the 2007/08 season when they lost 1-0 to Bristol Rovers in the 4th Round. 6: Barnet's best ever run in the League Cup came in 2005 when they lost in the 3rd Round to Manchester United. Their cause was not helped when goalkeeeper Ross Flitney was sent in the second minute. 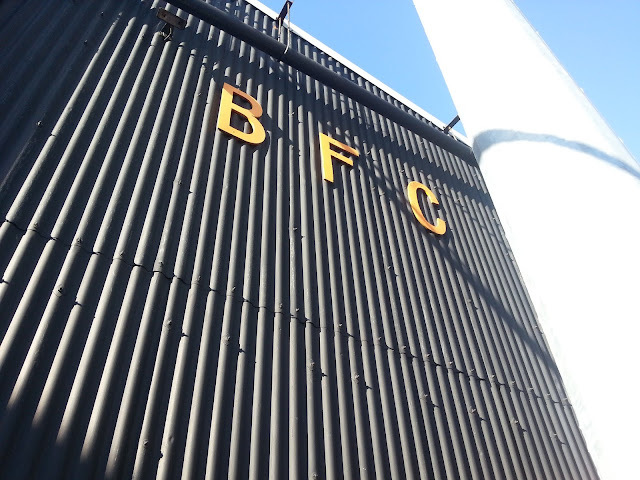 7: Barnet were FA Amateur Cup finalists in 1959, losing 3-2 to Crook Town at Wembley. 8: The club's last game at the ground came on Saturday 20th April 2013 as Barnet beat Wycombe Wanderers 1-0 with Jake Hyde getting an 81st-minute winner. It earned them a chance to avoid relegation, a battle that they would eventually lose the following week. 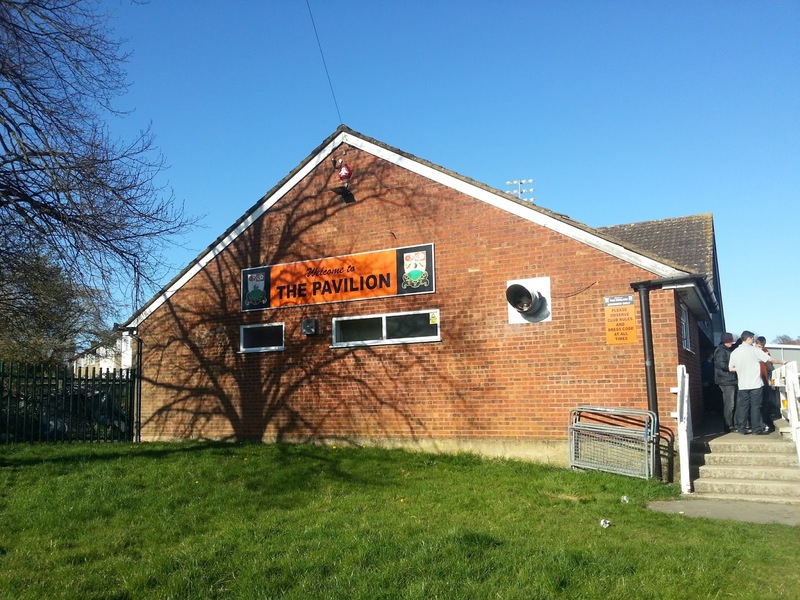 9: After leaving the ground Barnet moved to The Hive, a ground around 7 miles from Underhill in Canons Park. Multiple attempts were made to find an alternative ground in Barnet, but were vetoed time and again by the local council. 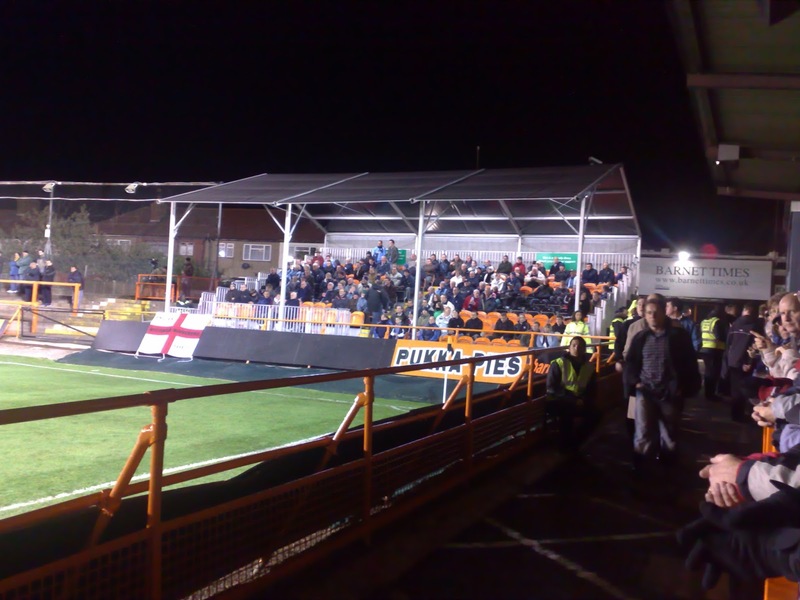 10: Since leaving the ground has also been used by London Broncos American Football youth side and also as a temporary home for Edgware Town while their own ground was refurbished. My first visit to Barnet's Underhill Stadium was in the December of 1996 for an FA Cup 2nd Round Tie. Wycombe had already beaten fierce rivals Colchester in the previous round, but the trip to North London looked quite a tough tie. As per usual at the time, I went with the independent supporters club to the game, along with my Dad and Brother. Wycombe had several players injured and the squad was down to its bare bones. It certainly showed as Wycombe were 2-0 down at half time. 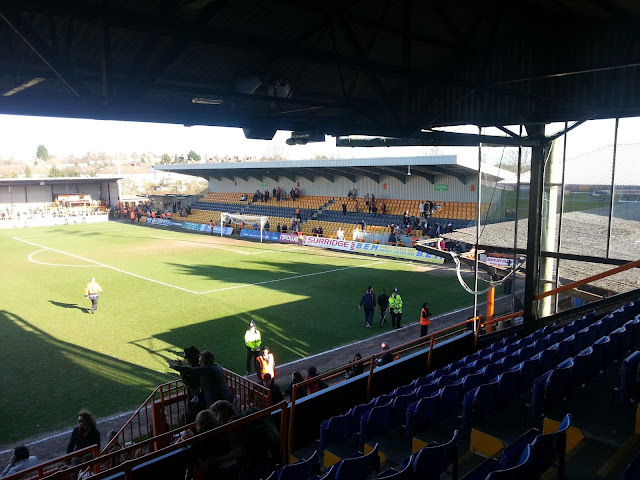 Underhill has a sloping pitch and Wycombe were playing uphill first half, though it looked as if they faced an uphill battle in the second half too, after goals from Phil Simpson and Lee Hodges put the home side firmly in control. But manager John Gregory's half time team talk must have worked as the Blues fought back from the dead. Goals from Steve McGavin and John Williams put the scores back level. 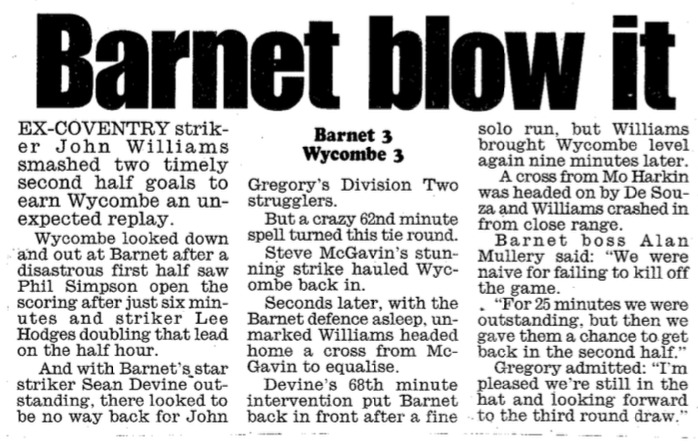 Future Wycombe star Sean Devine did put Barnet back ahead but Williams' second ensured that it finished all square, after an exciting 3-3 draw. 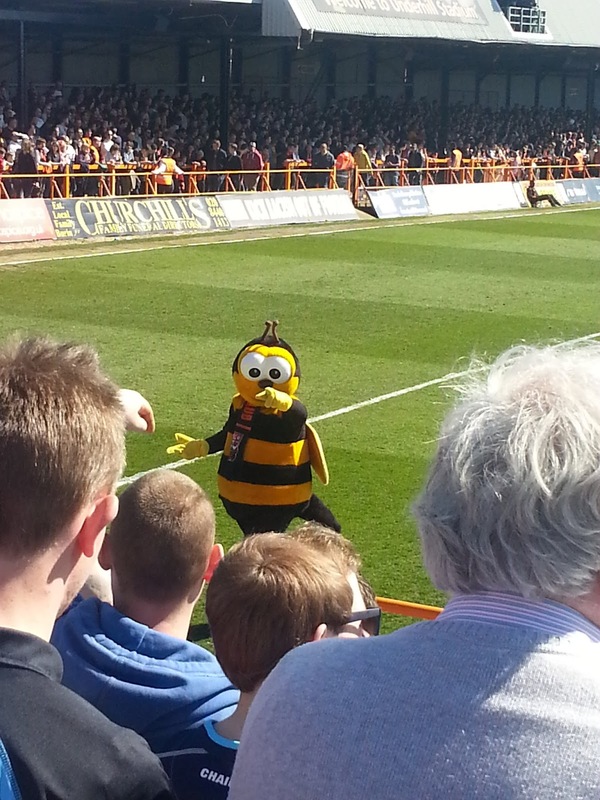 I was pretty pleased when it was announced that Wycombe Wanderers would provide the opposition for the last game at Underhill as it would be nice to be at a historic occasion. I made the trip over to London on the train, as I had for so many of my other visits down the years and went to one of my favourite pre-match haunts when in London - the Bree Louise in Euston. There I had a few pints of some decent cider and a wild boar burger which were both top notch and good value for London prices. From there I made my way to Underhill, arriving around 2.30. I enjoyed pre-match, basking in the sunshine with the tannoy playing some decent tunes to get me in the mood. 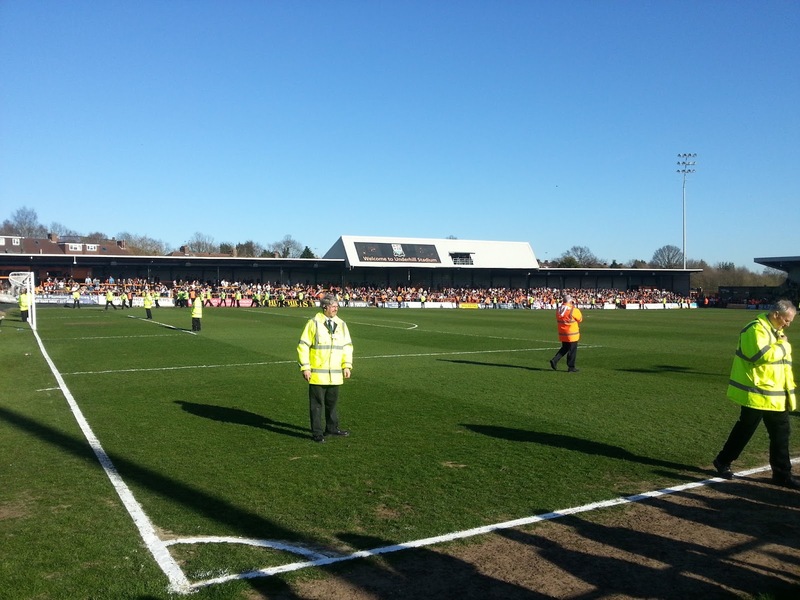 The kick-off was delayed by 15 minutes to allow the capacity crowd to get into the ground. 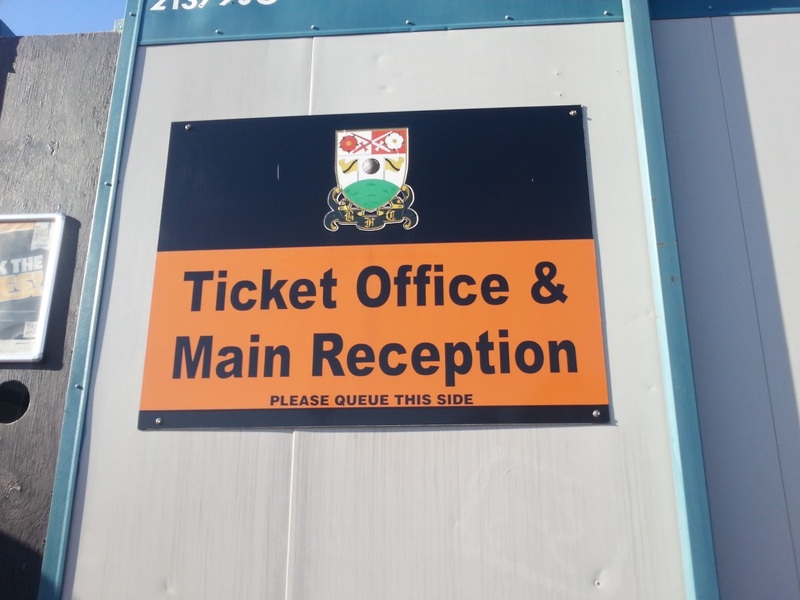 As for the game, it was a happy end for Barnet at their home with Jake Hyde notching an 81st-minute winner before goalkeeper Graham Stack saved a 94th-minute penalty to preserve their lead. 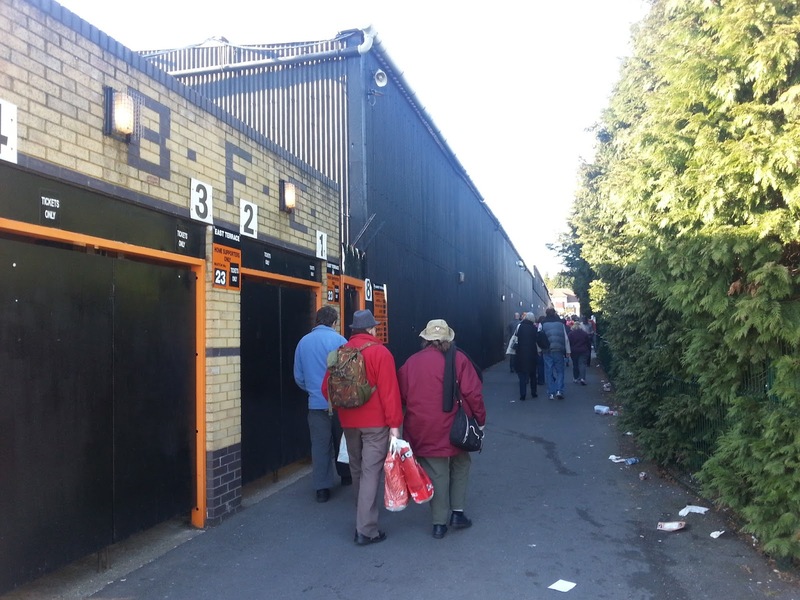 After the game I hung around for a bit, even walking round and getting some pictures from the Barnet end while I had the opportunity. I was a regular visitor to underhill down the years so a lot of the visits I cannot recall with any clarity. Standout games include the 2006 clash, though not for the football itself. It was just after the sad death of Mark Philo at the previous week who died in a car crash, so there were a lot of chants for him. Wycombe and Barnet fans joined together to remember Kevin Durham who served both clubs so well before his sad death in 1991 at a young age. 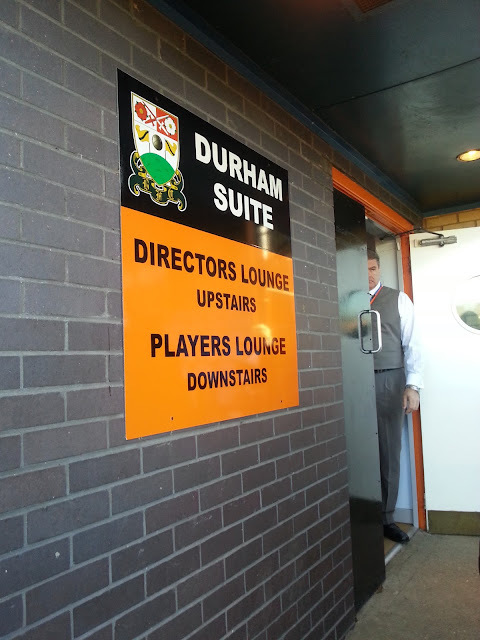 The bar & suite at Underhill was named in his memory. 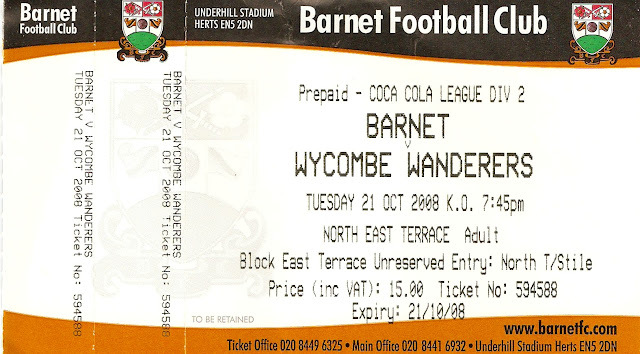 Also one to remember was the sole Wycombe win I saw at Underhill. 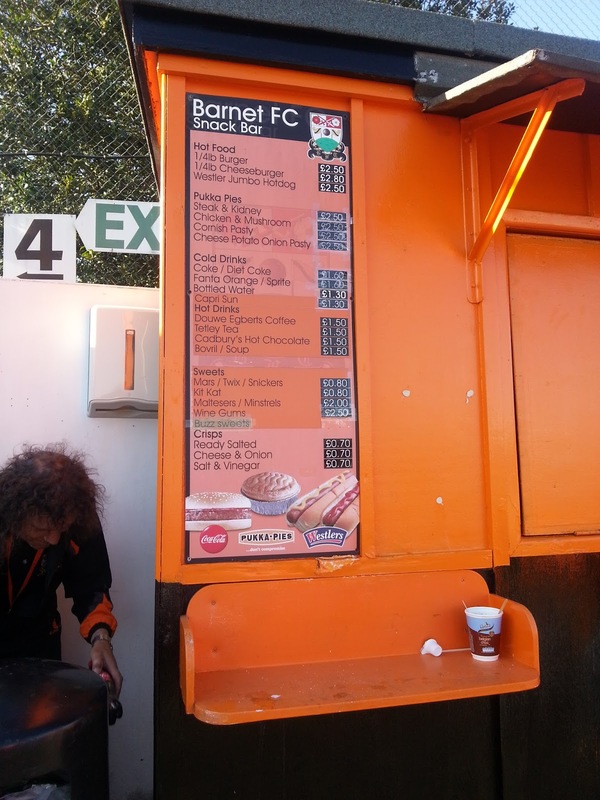 This came in 2011 for a midweek game and the only time I travelled to Barnet via car. 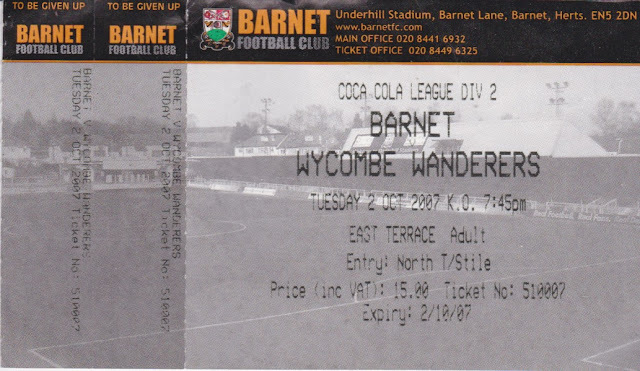 Underhill was always one of those grounds that was a lot better under floodlights and it was made all better with a Wycombe win. Defender Chris Westwood was the unlikely scorer as he netted in injury time at the first half. We withstood periods of pressure to cling on to our first win at Underhill in 25 years. 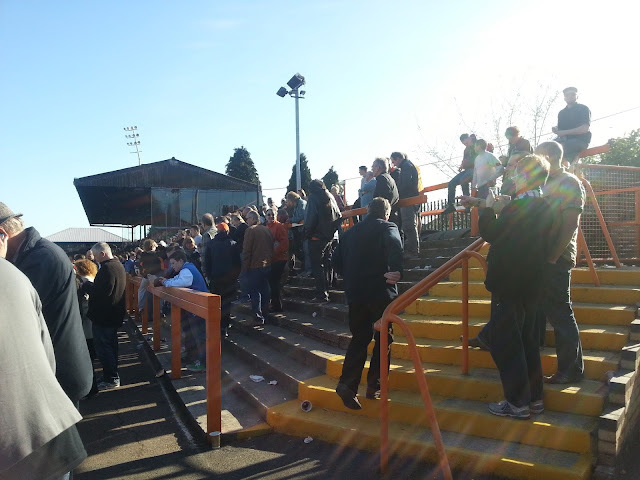 Underhill may not have been the best ground in the Football League, in fact it was maligned by many. But it was a classic proper football ground and I was pleased to be able to get a decent amount of photos from all areas of the ground when they played their last ever game there against Wycombe Wanderers in 2013. It was in a heavily populated area too, right next to High Barnet station. This meant a reasonable choice of pubs and takeaways, though I don't remember anything standing out especially. The West side of the ground comprised of a small family stand to the left, a large elevated main stand in the middle and a small piece of covered terracing to the right. This stayed the same for the duration of my visits to Underfill, save for a few licks of paint. Adjacent to that was the North Terrace, sometimes known as the Westcombe Drive end. This was an uncovered terrace, but for my last 2 visits there was the addition of a covered temporary seated stand with a 240 capacity. 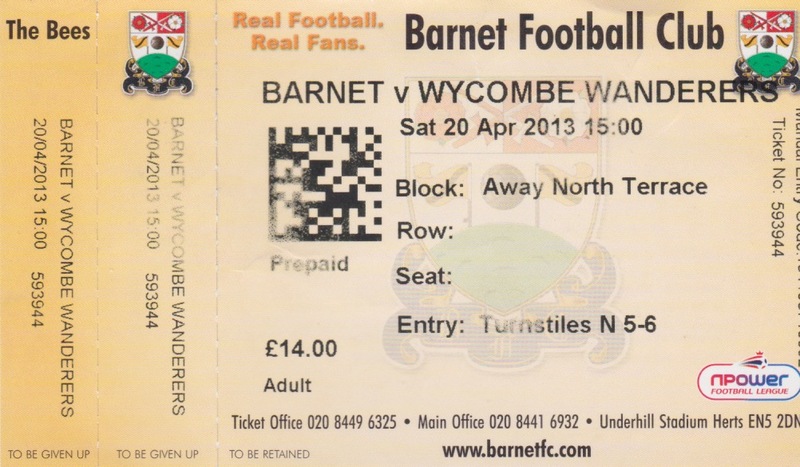 Normally this was given over to home fans, but for my last visit Wycombe fans stood there. For the majority of my visits visiting supporters got part of the East Terrace. This was fairly shallow so it was hard to get a good view if you are short like me. It was split into 3 pens with the middle one being used to aid segregation. Completing the ground was the South Stand. Originally this was an uncovered seating area - and this was where visiting supporters were allocated on my first couple of visits. Later on, it was charged to a newer stand - still of a temporary nature but a lot smarter and with a roof. They have the same or a very similar stand at their new ground, The Hive.